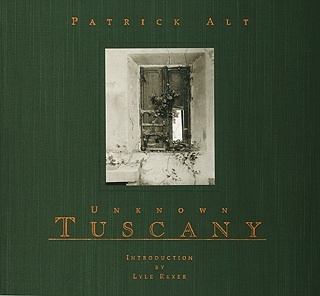 This first book by large format photographer and platinum printer, Patrick Alt, is a triumph! No compromises were made in the publication of this book. Exquisite and accurate reproductions of his work in Tuscany, Italy using five colors of black in order to capture the full tonal range and color accuracy of his platinum prints. Mr. Alt, captures the feel and texture of this, most beautiful and picturesque landscape with his 8x10 view camera. This is a beautiful, hardbound 74 page book, covered in silk.